The awesome team over at ThemeFuse is going to give away three premium WordPress themes to our readers! Not a bad way to begin your morning, huh? 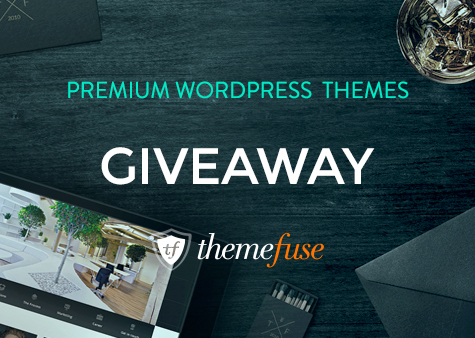 Our lucky winners will get to select one full download of the ThemeFuse WordPress theme they choose. As WordPress is the best option for any or website, this means that you can really increase the quality of your online presence, and do it for free. Leave us a comment down below that tells our readers why exactly you should be one of our lucky winners, and what you plan to do with your ThemeFuse theme if you get one. Let the your followers know by tweeting: Win a free copy of @ThemeFuse #WordPress Theme from @[your Twitter] (RT to Enter). Notify all your Friends by hitting the “Like” button on the ThemeFuse Facebook page. Check back because we will be posting the names of our winners in just one week. Need more convincing to join in? WordPress is the last word in blogs and websites, and ThemeFuse is the best where when it comes to WordPress themes. It doesn’t even matter what kind of website or blog you have becuase ThemeFuse is a “one stop” shop. You won’t just get impressive designs, you will also benefit from some of the best source code, configuration interface and much more. On top of all that, ThemeFuse has a great new product being launched with their partners at a trusted hosting company. Together, they will be providing hosting as well as a free domain. Furthermore, they handle all the setup and take care of any and all installs, again for absolutely no extra cost. Basically, you will have an entire website in a just a few minutes. Learn more about this incredible product. See for yourself the difference ThemeFuse can make by checking out some of their WordPress templates below. Yes, this template would be amazing for your personal blog or portfolio. However, you can also use it for posting photos, videos and links, all from your iPhone. A beautiful, responsive WordPress theme made for kids that is ideal for a daycare website or one for a kindergarten. A powerful theme that is also extremely easy to work with. This professional WordPress theme is also very responsive, which means you’ll be able to push your company into a whole new tier online. A multi-purpose theme that can will be perfect for any type of business purpose or industry you may have in mind. It would also be good for a more casual creative shop. A responsive WordPress theme for a single page aimed at developers, freelancers, web designers or even contractors. Alright, what are you waiting for? Just follow the above steps and you‘ll get in the running for a ThemeFuse theme that is 100% free. Whatever you need it for, you’ll definitely see results. Hey this is sweet! I could use one of these for my personal blogs. Nice promotion I love it. Beth, you're a winner! Please send your email address to [email protected] so we can send you the details. Mary, you're a winner! Please send your email address to [email protected] so we can forward you the details. Nicely crafted themes. Perfect for my personal website. Liliana, you're a winner! Please send your email address to [email protected] so we can forward you the details.